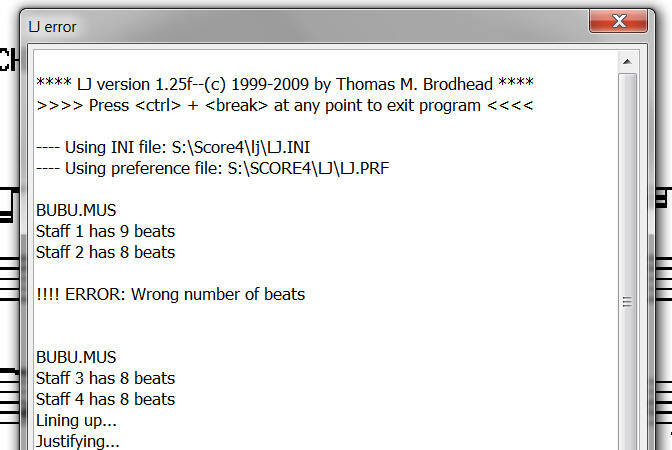 This macro requires Tom Brodhead’s “LJ” program in order to function. Make sure that the ini file is placed in the directory where your copy of the LJ program resides. 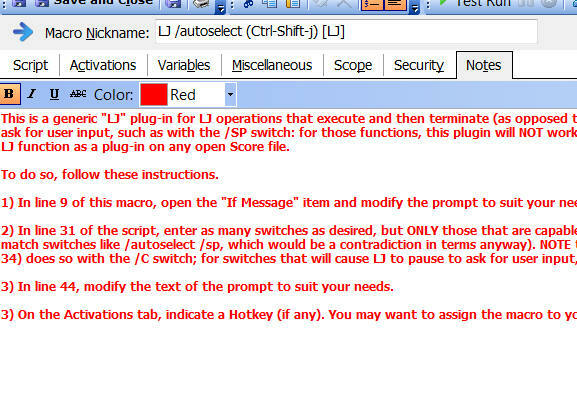 This macro subjects an entire open file to the LJ/autoselect procedure, spacing all notes in all systems. You may wish to examine the results before responding to this prompt. If you are not happy with the results, or if you inadvertently subjected the file to this procedure, click Undo, and the pre-LJ/autoselect state of the open file is reinstated. If you are happy with the result, click Accept. Take whatever corrective action is required, then run the command again. Invoke this macro on any open Score file, and the required change will be performed on that file; there is no need to indicate the file name, or to reload the revised file. 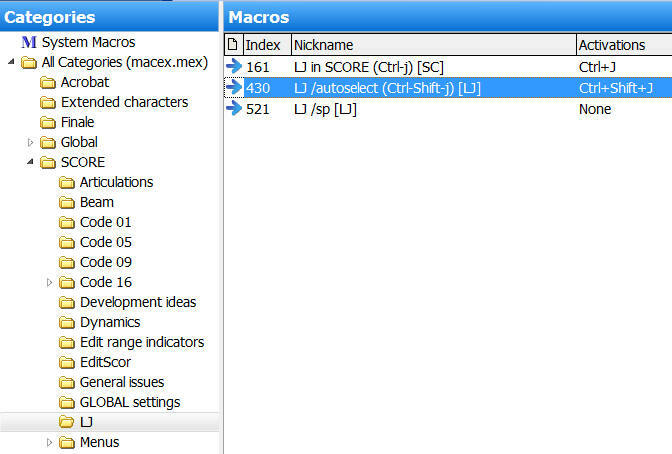 In essence, importing this macro into Macro Express creates a completely new “command” for working within ScorBox for which there is no provision at all within the Score program; Score’s internal LJ requires the user to indicate manually on which staves to space notes. In essence, this plugin, and all associated LJ plugins, fully supercede Score’s LJ function. 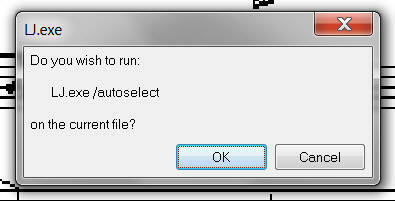 LJ.exe provides more accurate and reliable results, and provides far more options than Score’e internal LJ does. The possibility to space while accounting for lyrics is accomplished with one command; in Score, this would require both applying the LJ command, and in most circumstances several applications of the JT command.